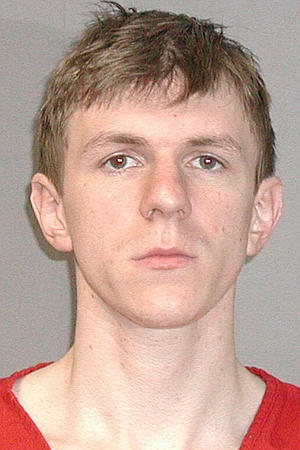 Houston James O’Keefe, the delusional, self-aggrandizer, copped a plea with his young, right wing buddies for the weird caper at Senator Mary Landrieu’s office in New Orleans where it is still difficult to fathom what in the heck the boys were really hoping to do with this half-baked idea. They pleaded guilty to misdemeanors with O’Keefe getting the ringleader’s reward of more time and fines. All of them got community service hours and fines ranging from $1500 on down. Hardly stiff sentences but given that they were caught before they could do any serious damage, maybe enough is enough. Personally, I don’t begrudge them getting a pity pass from the judge. They are youngsters trying to sort out the wild and wonderful world. All of this would be fine, if I could pretend they are likely to learn something from this escapade other than not to mess with U.S. Senators, and that’s where I think we’re going to be disappointed. The arrogant, self-righteousness of this guy is almost off the scale. Once again yesterday he kept repeating his self-serving chant about “truth,” which is pretty offense given his tactics and the slimy way he handles both film editing (even the always in denial New York Times finally referred to the “ACORN tapes” today as “heavily edited”) and casual disregard of the truth about his “pimp costume” if it got in the way with his marketing and promotion. I won’t bother to dwell on his myopic inability to understand that there are consequences to any of actions. So, we’ll settle with the fact that he is guilty as charged with the record to prove it, even while we regret that it appears he will learn little or nothing from the experience and will keep yelling truth even though he wouldn’t know what that looks like if it slapped him in the face harder than this light tap on the hand. This entry was posted in ACORN, Ideas and Issues and tagged arrest, james o'keefe by wade. Bookmark the permalink.